Check out that tenebroso lighting! It's like an updated, urban Caravaggio. Within the last two weeks, we watched Robert Downey Jr. lift up the relatively workaday Iron Man to something a bit more fun, and we watched Shia Labeouf not only hold his own but out-cool Indy himself in the latest Orientalist stuntcapade. These two actors - both talented and interesting - once long ago (well, two years ago) starred in possibly the hardest corest film of all. The trailer for what we're talking about. Man, and if the trailer looks intense, wait 'til you see the film! The intensity of Dito Montiel's A Guide to Recognizing Your Saints is much in the same vein as previously reviewed La Haine. Both films show us a window into the quotidian violence of poor, urban youth, and both films show us that violence's seeming inevitability. In both films, characters are shot to death by mistake - as if the tension of the environment is so strong that even false moves are lethal. It's a standard genre. We sympathize with the intelligent, compassionate protagonist who dreams of one day escaping these mean streets. In La Haine, the verdict is not so optimistic, but A Guide to Recognizing Your Saints - a true story based on Dito Montiel's childhood in 1980s Queens - at least has a light at the end of the tunnel. We know that dreamy-eyed Shia Labeouf will age into Robert Downey Jr., and we know that Dito will one day make it big in California. Thank goodness. Young Dito, played by the awesome Shia Labeouf. Adult Dito, played by the also-awesome Robert Downey Jr. The basic plot: Dito (the excellent Shia Labeouf) comes from the mean streets of Astoria, Queens. His friends - alpha male, Antonio (Channing Tatum), joker Nerf (Peter Tambakis), Antonio's eerie brother, Giuseppe (Adam Scarimbolo) - prowl the streets "like a pack of wolves," according to his mother. His parents, while loving, are not ideal: his father, Monty (Chazz Palminteri), in particular seems willfully blind to Dito's wishes and ambitions. Eventually, Dito befriends a young Scot, Mike (Martin Compston), new to New York, who opens up another world for him. Together, the boys dream of starting a band and escaping to California. Meanwhile, a war of retribution between Dito's gang and a rival group of boys is escalating to lethal levels. 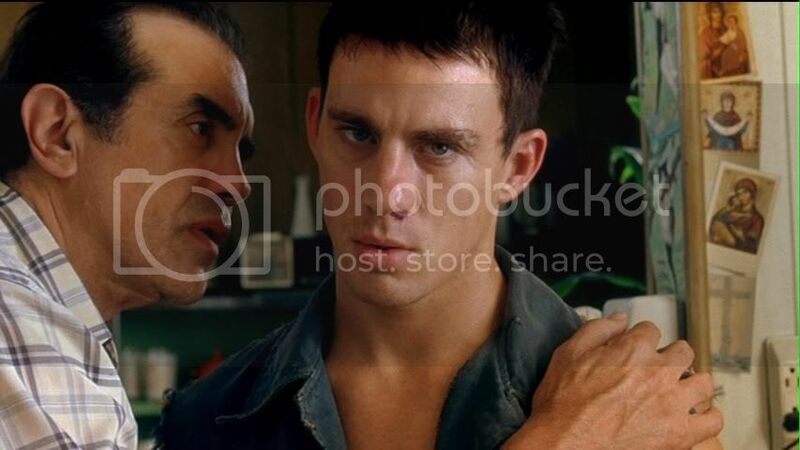 Chazz Palminteri and Channing Tatum. Given its theme, the aesthetics of this film are perfection. It is alive, kinetic, fresh and experimental. For example, a beautiful moment is when, after an adult Dito demands that his aging father admit he never loved him, the father says, "You're my son. Of course I love you. I told you that the last time I saw you." We are then treated to a gentle reprise of the scene where Dito left home, and Chazz Palmintieri reads his lines again in the calm, compassionate tone of a loving father (where before he had screamed them). More wonderful filmmaking moments are when two-second clips of scenes blast forth before the actual scene happens - hence elevating the tension immediately. We know something horrible is going to happen, but we don't know what and we can only watch things unravel. Or, another great moment, a musical montage where the characters address the audience directly: "My name's Dito. I'm gonna leave everybody in this film." If this sounds overly intellectual, trust us, it's incredibly entertaining and poignant as well. 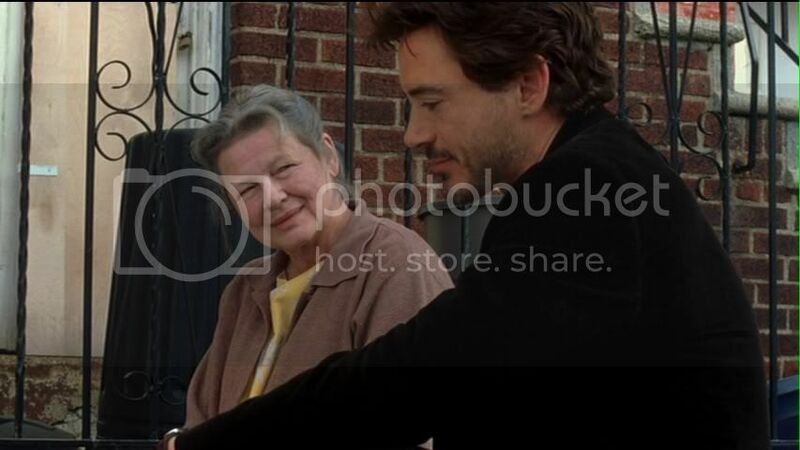 All the performances are as honest and alive as the filmmaking - with the possible exception of Robert Downey Jr., who unfortunately carries too obviously the weight of his fame, and it often feels like Robert Downey Jr. Interpreting the Character of an Adult Dito. Thankfully, Shia is given the weight of Dito's character, and it is he who the audience invests in. Channing Tatum is a bit of a revelation, terrifying and yet sympathetic. Overall, this is a movie where the PPCC laughed, the PPCC cried, the PPCC watches again and again. I'm curious to hear what you find so appealing about Shia LeBouef. I absolutely loathed him in the one thing I've ever seen him in - Transformers. He just seems really, really annoying. Plus there is that hilarious "Don't you know who I am? I was in Transformers" annecdote. Filmi Girl - Ahh, perhaps that's the problem then! I've only ever seen him in this (and now Indy), and have never seen Transformers... so maybe I'm missing out on the annoyingness. I knew him before this only as "that Disney kid", and so I was incredibly impressed by his performance in this. Ahh, Star magazine! Love it.